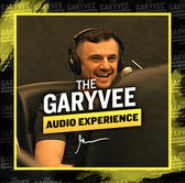 Gary Vaynerchuk is a serial entrepreneur and the CEO and co-founder of VaynerMedia, a full-service digital agency servicing Fortune 500 clients across the company’s 4 locations. Gary appears with Gwyneth Paltrow, Jessica Alba and Will.i.am on Apple’s first original series “Planet of the Apps” out now! Gary rose to prominence in the late 90’s after establishing one of the first ecommerce wine sites, WineLibrary helping his father grow the family business from 4 to 60MM in sales. Gary is also one of the most sought after public speakers alive today. He is a venture capitalist, 4-time New York Times bestselling author, and an early investor in companies such as Twitter, Tumblr, Venmo and Uber. Gary has been named to both Crain’s and Fortune’s 40 Under 40 lists.